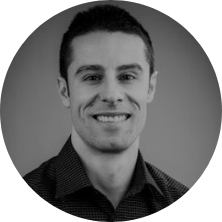 Robert Esposito is a Teacher and co-founder of Sisler’s Network and Cyber Academy in Winnipeg, Manitoba. With over fifteen years of experience in both the private and public information technology sectors, Robert has been instrumental in developing one of Canada’s leading technology education programs. The program provides a talent pool for employers seeking skilled employees within various IT industries. Robert’s students have achieved tremendous success competing in a variety of local, national, and international technology competitions, which ultimately led to his contribution in developing the CyberTitan program.